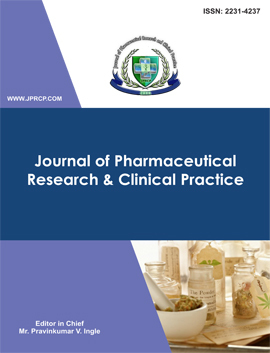 JPRCP is a quarterly published, open access, peer-reviewed, an international multidisciplinary, online pharmacy journal. The aim of JPRCP is to serve as a means for updating the scientific knowledge of the international audience in the pharmaceutical forum. 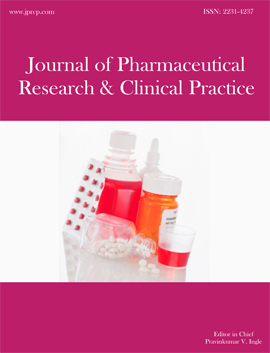 The journal, particularly welcomes the original research articles, reviews, short communications and case studies relevant to the Pharmaceutical Sciences, Research and Clinical Practice. 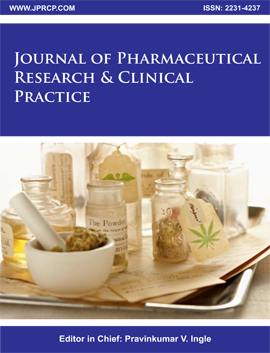 The journal broadly includes the various fields of Pharmaceutical Sciences such as; Pharmaceutics, Pharmaceutical Technology, Biopharmaceutics, Pharmaceutical Chemistry, Pharmaceutical Analysis and Quality Assurance, Medicinal Chemistry, Pharmacology and Toxicology, Pharmacy Practice includes Hospital, Community and Clinical Pharmacy, Pharmacognosy and Phytochemistry, Pharmaceutical Microbiology and Biotechnology, Regulatory Affairs and Pharmaceutical Marketing Research, and Alternative Medicines. I hope this inventiveness will be delightful and researchers will find this journal informative and efficient in all aspects. Comments of researchers will help to improve the quality and content of the journal. 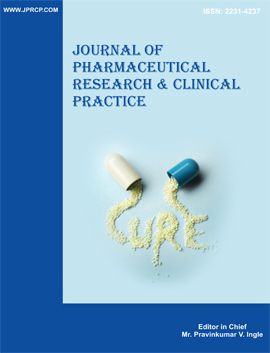 Note :- Journal of Pharmaceutical Research & Clinical Practice (JPRCP) is under process to have publishing partnership with Wolters Kluwer- (Medknow Publication).